Erynn Montgomery from Tropic of Candycorn shares her passion behind encouraging families to make meaningful memories together, particularly through travel away from their home, as she Skypes with me from Ecuador where she had been traveling with her 4 young girls for the month. She tells of growing up with a single mom who could never afford to take her and her 4 siblings on vacation, but how a roadtrip they shared helped her to see the benefits of taking people out of their day to day environment to stretch outside of their comfort zone and connect. As a little girl she would pray for world peace and wanted to fix things and make a small difference. This led her to the humanitarian world to which she would become the CEO of a international humanitarian organization in Latin America, which was the hardest thing she has done in her life. She shares the story of a 2 year old girl who fell into a pig pen and lost her arms and why years later watching her reach for a lollypop was so healing for both the mother and Erynn. Erynn talks about the benefits of an international education and how unenrolling her children from public school is the best thing for them. She also shares her bravery of being on the show when she reveals that she would rather shave her head or eat worms in the Amazon than share her personal story and be vulnerable, but how sharing our fears and imperfections help us to see that we are all just trying to do our best. 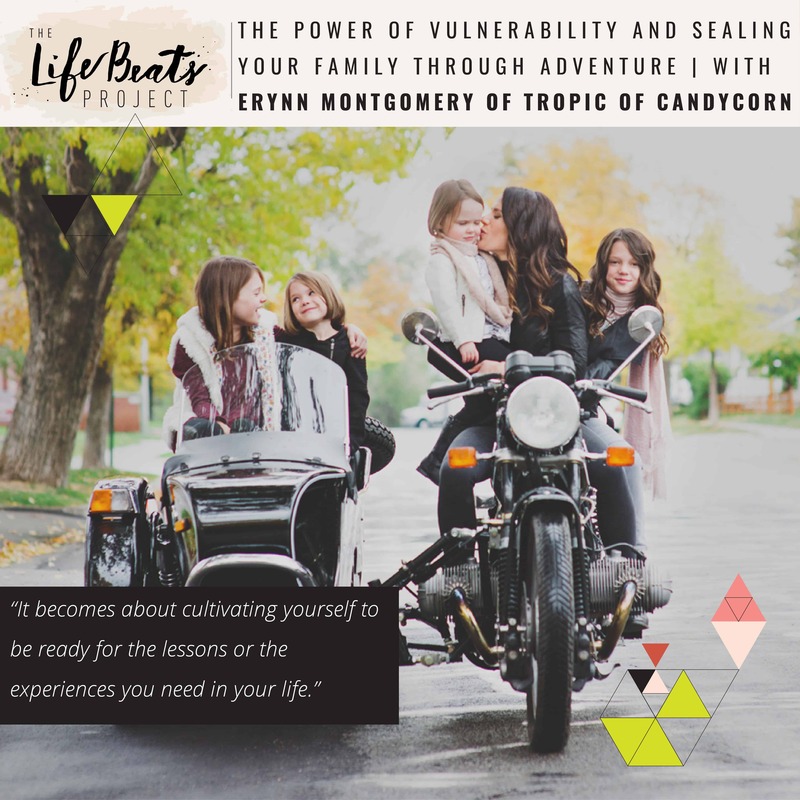 She shares about the Surf & Yoga retreat in Costa Rica she created for moms and what she is doing now to create that small difference through her work through Tropic of Candycorn to help families create meaningful vacations and memories and how you can too. Listen and be inspired to create opportunities for ourselves and for our families to step outside of our comfort zones to stretch, grow, and create connections. Want to know if this episode it for you? This episode is perfect for someone who is looking to enrich family relationships and looking for inspiration for ways to create adventures together. It is perfect for someone who is looking to give their children a broader view of the world and wanting to explore an international family experience. It is also great for someone wanting to know more about international humanitarian organizations and how they can make a difference. It is just for someone who wants help on traveling with children. It is also perfect for someone who may be letting fear hold them back from connections and cultivating themselves. It is also great for those interested in planned retreats and family vacations. Boiler Plate trips coming soon on Tropic of Candycorn on Oct. 14th! !